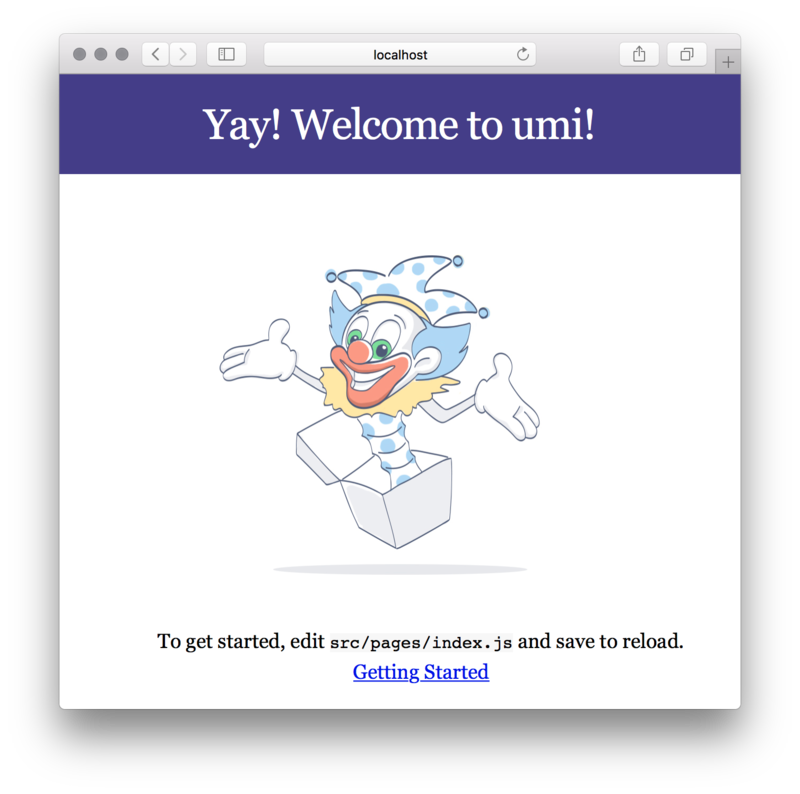 You can use create-umi via yarn create umi or npm create umi. Recommend to use yarn create, to make sure use the latest boilerplate everytime. First, use yarn create umi in the new directory. FAQ: If encounter the problem of create-umi command not found, try to execute yarn global bin, and add the output to PATH environment variable. ant-design-pro  - Create project with an layout-only ant-design-pro boilerplate, use together with umi block. ❯ app             - Create project with a simple boilerplate, support typescript. block           - Create a umi block. library         - Create a library with umi. plugin          - Create a umi plugin. Confirm if you want to use TypeScript. Then, select the function you need, checkout plugin/umi-plugin-react for the detailed description. Once determined, the directories and files will be automatically created based on your selection. Finally, start local development server with yarn start. If it goes well, open http://localhost:8000 in the browser and you will see the following ui.